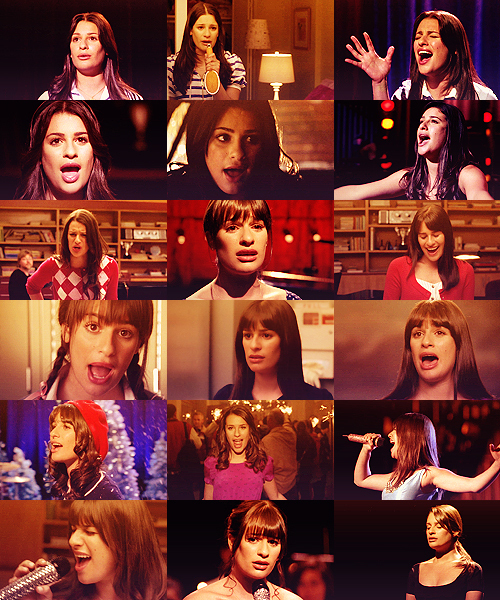 The faces of Rachel. . Wallpaper and background images in the Rachel Berry club tagged: lea michele glee rachel berry performing.